This just in and just in time for Thanksgiving too, all Kroger grocery stores (King Soopers, Cala Foods, City Markets, Copps, Dillons, FoodsCo, Fred Meyer Stores, Fry's, Mariano's Fresh Market, Metro Market, Pick 'n Save, Quality Food Centers, Ralphs, Food 4 Less, and Smith's Food and Drug) are selling produce skillet kits featuring one ounce packets of Epicurean Butter. These handy produce kits make side dishes simple to prepare and flavorful. There are a number of them to try. Of course, we’ve tried all the kits, and love them all. Though , the Sweet Potato Rice Casserole is our favorite and will most definitely be on our holiday tables. 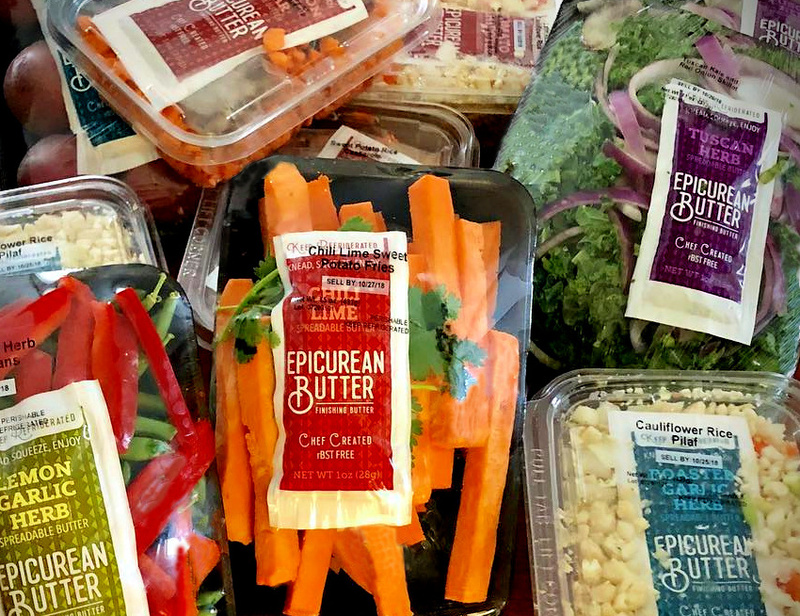 Next time you are at your local Kroger, find the Epicurean Butter skillets in the produce section near the bagged salads.